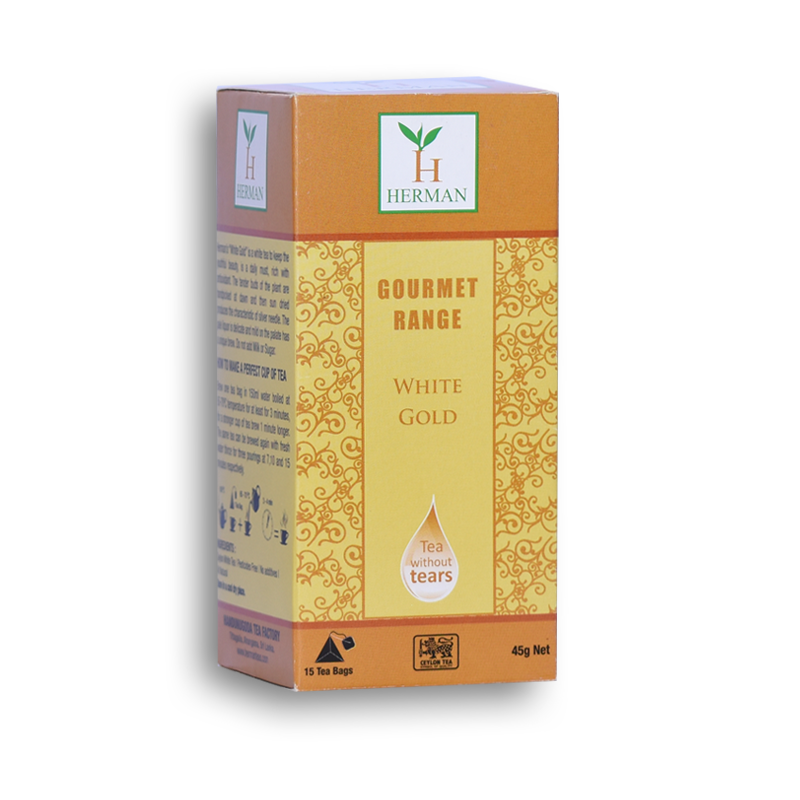 Herman’s White Gold is a delicate White tea suitable after every meal to be in shape and keep fit. Premium white tea is handpicked and produced free from the bitterness of white tea and is consumed without Milk or Sugar. If preferred add Honey or slice of Lemon. White Gold is a white tea to keep the youthful beauty, is a daily must, rich with antioxidant. The tender buds of the plant are handpicked at dawn and then sun dried produces the characteristic of Silver Needle. Do not add Milk or Sugar.